Many people seek solace in addictive substances when they’ve suffered a personal tragedy. Unfortunately, depending on drugs or alcohol will only mask traumas, while the new issue of addiction begins to take over. It’s time to begin choosing the best inpatient addiction treatment center for personal tragedy or trauma when you or a loved one is ready to move onward and upward with life. When pressure mounts and grief overwhelms, drugs or alcohol may seem like the only answers to a complicated situation. In a study published by the Journal of Dual Diagnoses, researchers from Dartmouth discuss the fact that many instances of substance abuse stem from individuals who seek to block out, forget, or erase traumas from their life. In particular, a significant number of patients who enter an addiction recovery program are also suffering from posttraumatic stress disorder or similar tragic reactions to life situations. You may connect PTSD in your mind to the aftereffects of war on soldiers, but in reality, many people develop the signs and symptoms of PTSD after they have suffered a personal tragedy. This, in turn, can lead to dependence on illicit or abused substances, making it even more difficult to achieve recovery. If those reactions describe your or someone you know, and you or your loved one has already formed a dependence on drugs or alcohol, now is the time to addiction and personal tragedy or trauma treatment facilities. In the Dartmouth study of PTSD and addictions, one of the notable takeaways is the importance of treating both the trauma and the dependence at the same time. The researchers discuss the past preference of centers to treat each affliction in tandem instead of concurrently. Unfortunately, such a practice did not lead to good outcomes overall. 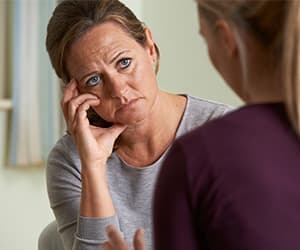 Rather, the Dartmouth researchers trialed and now recommend a practice they call “integrated cognitive behavior therapy.” When you evaluate addiction and personal tragedy or trauma rehab and recovery programs, seek out protocols similar to this, that treat patients holistically and inclusively of all issues, rather than treating just the trauma or the addiction in turn. “As addictions mix with personal traumas, the two become entwined and knotted together.”As addictions mix with personal traumas, the two become entwined and knotted together. That’s why it makes sense to seek out programs that deal with both issues at the same time through integrated therapy. You have a few other issues to investigate before choosing the right addiction and personal tragedy or trauma recovery facility for yourself or your loved one, however. Recently, Time Magazine featured an article by neuroscience journalist Maia Szalavitz on how trauma and addiction could best be treated together. Consider different addiction and personal tragedy or trauma recovery programs before you make your final choice. We can help you locate the best center in your area as you begin your research. Simply call us to get started today. Although many facilities are out there to help you or your loved one work toward recovery, programs are not a one size fits all proposition. Instead, you will need to evaluate individual offerings and your own comfort level with how a facility runs before you can get started. Although well-meaning friends and family may offer suggestions or recommendations, these ideas should be considered a starting point, not a conclusion. Just because one protocol worked for a certain person doesn’t mean it will be your best bet. The sooner you or your loved one begins treatment for addictions and trauma recovery, the earlier you will begin to experience true health.When you reach sobriety and have dealt with the personal tragedies that have colored your life, you can begin to live free from those dark shadows. Unfortunately, many people do not realize how much an addiction has begun to harm their lives. Friends and family can get involved by staging an intervention to ensure their loved ones receive the care and counseling they need through addiction and personal tragedy or trauma recovery centers. We can help, too. We’re available 24/7 when you dial 1-888-319-2606 Who Answers? .